Do You Have What it Takes to Travel Alone? Yes, I had traveled alone to Zihuatanejo, Mexico to visit my loser ex-boyfriend, and I had already saved up a year's worth of income to move to Buenos Aires, Argentina, where I had a volunteer program waiting for me. But this was different. Here I was, completely alone, hung over from the Halloween party the night before, … Continue reading Do You Have What it Takes to Travel Alone? To a Wandering Soul, Dirty Animals Need Love, Too. I've often been accused of caring about animals more than people. (After all, I'm a vegetarian-turned-vegan and an animals-rights supporter. Or so the arguments have gone.) While this couldn't be further from the truth at this point in my life, there have been times where I was a die-hard misanthrope that wanted to be a … Continue reading To a Wandering Soul, Dirty Animals Need Love, Too. Welcome to Chronicles of a Travel Addict! My name is Cristina Luisa and I am a travel writer, photographer, Latin Americanist, and Beat Generation junky. I have an insatiable lust for international and domestic travel. So far, I have lived in, traveled through, volunteered, and taught in 42 countries. This site is dedicated to telling stories of my travel addiction, as well as showing you how to travel on a budget. 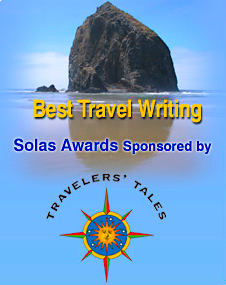 If you are also a solo traveler invested in responsible tourism, this site is for you! Follow Chronicles of a Travel Addict! Welcome to Chronicles of a Travel Addict! Yes, I want to follow! 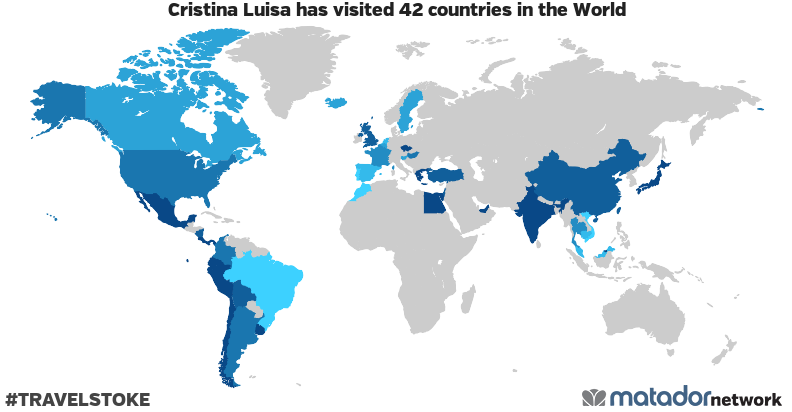 Cristina Luisa has been to: United Arab Emirates, Argentina, Belgium, Brunei, Bolivia, Brazil, Canada, Chile, People's Republic of China, Colombia, Costa Rica, Czech Republic, Ecuador, Egypt, Spain, France, United Kingdom, Greece, Hong Kong, Hungary, Israel, India, Iceland, Japan, Cambodia, Morocco, Mexico, Malaysia, Nicaragua, Netherlands, Panama, Peru, Palestine, Portugal, Sweden, Slovenia, Thailand, Turkey, Taiwan, United States, Uruguay, Vietnam. 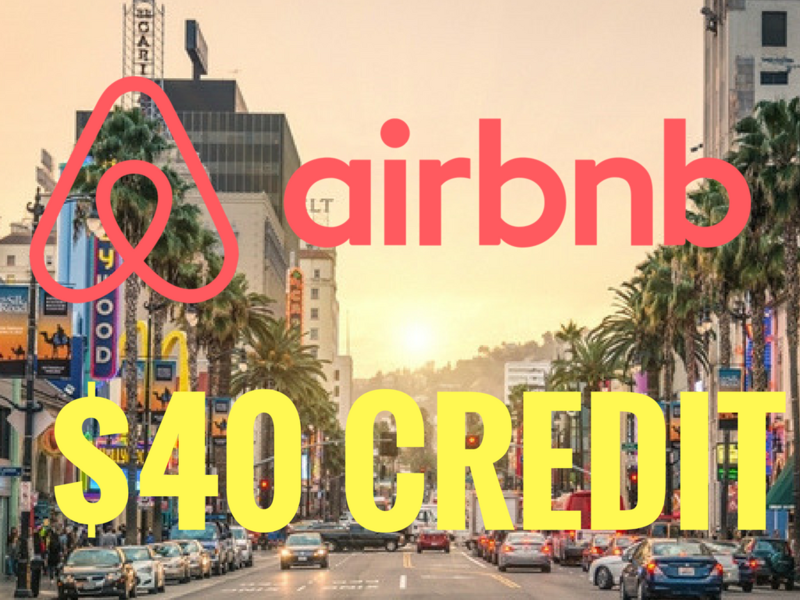 $40 off your first Airbnb stay!